We are excited to announce our upcoming concerts for the 2016-17 season! 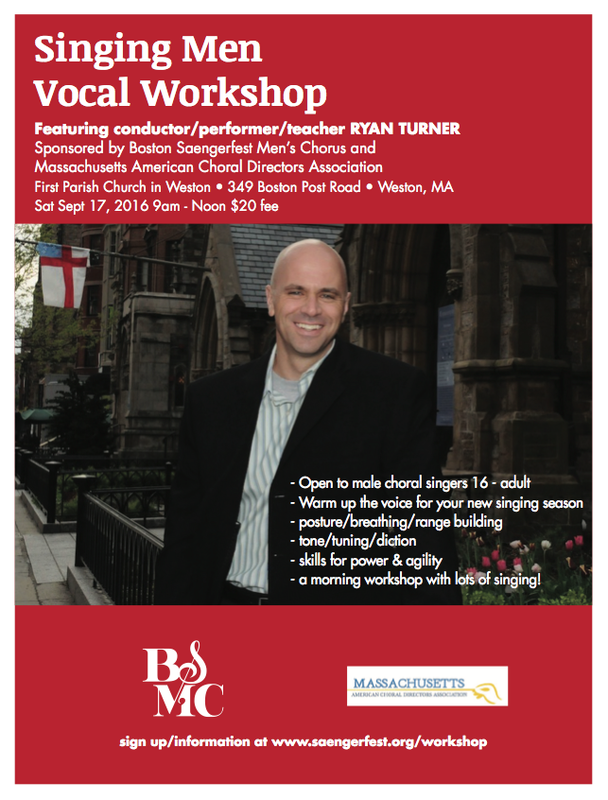 On September 17, 2016 we offered a morning vocal workshop to all the region’s male singers, led by Ryan Turner at the First Parish Church of Weston, MA. Click HERE for more about it. We are planning on having more workshops, so stay tuned! The Chorus returned to participate in the 2016 Festival of Male Choirs with a mass chorus (with over 600 male singers) performance at Royal Albert Hall, London, UK on October 15, 2016. If you are a guy who would like to be a part of this performance, please contact us at membership@saengerfest.org. If you know of anyone else who might be interested in signing with us at this event, please forward this e-mail to them. We also combined this event with a tour of Wales (with a concert in Cardiff), and a concert at the Southwalk Cathedral in Central London on Friday, October 14, 2016.